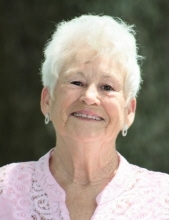 Patricia Ann Hester, 74, a lifelong resident of Escatawpa, MS, passed away on Friday, July 27, 2018 in Pascagoula, MS. Patricia was born on September 26, 1943 in Mobile, AL to the late Y.E. Stewart and Beatrice Browder. She was a loving wife, mother, Nana, sister, and friend to many. In addition to her parents, Patricia was preceded in death by her son, Jimmy Sullivan, step-father, Earnest Browder, along with two brothers and two sisters. She is survived by her loving husband, Thomas Hester; children, Janet (Craig) Taylor, Kem Atwell, Thomas Hester Jr., and Doylene McLain; grandchildren, Daniel Jones, Andrew (Kayla) Sullivan, Michael Atwell, Kellie (Russ) Walker, Coley (Della) Sullivan, Tabitha Taylor, Austin (Connie) Sullivan, Joshua Taylor, Elizabeth McLain, Lisa Hester, Brandy Hester, and Nikki Hester; 13 great-grandchildren; sisters, Barbara (Jim) Whitney, Kathy (Larry) Driskell, Debbie (Tommy) Ondayko, and Angie Browder; her beloved two dogs, K.K. and Katie; along with numerous nieces, nephews, other family members and friends. The visitation for Patricia will be held on Monday, July 30, 2018 from 11:00 a.m. until 1:00 p.m. at Heritage Funeral Home in Escatawpa, MS. The funeral service will follow in the funeral home chapel beginning at 1:00 p.m. with Bro. Ed Orh and Bro. John Blackwell officiating. Interment will be held at Serene Memorial Gardens with Andrew Sullivan, Michael Atwell, Coley Sullivan, Josh Taylor, Russ Walker, and Paul Caldwell serving as pallbearers. To send flowers or a remembrance gift to the family of Patricia Ann Hester, please visit our Tribute Store. "Email Address" would like to share the life celebration of Patricia Ann Hester. Click on the "link" to go to share a favorite memory or leave a condolence message for the family.